I read this article and found it very interesting, thought it might be something for you. 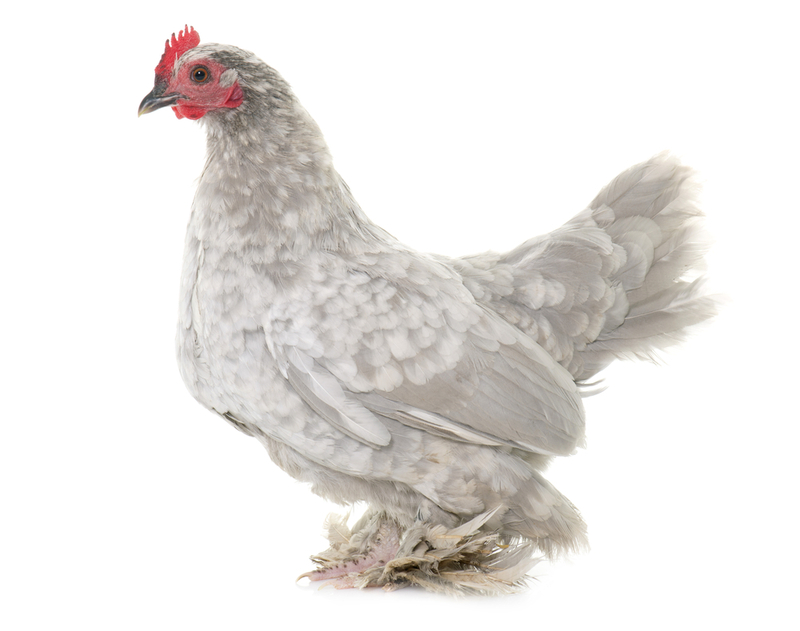 The article is called Booted Bantam Chickens and is located at https://www.chickencoopguides.com/breeds/booted-bantam-chickens/. A chicken’s beauty is often overshadowed by the ability to produce eggs and delicious meat. Though most breeds are fairly versatile, you should select the breed that fits well with your current lifestyle. Booted bantam chickens are the petite supermodels of chicken breeds with notable feathered legs and feet. To keep your birds looking sharp, establish a regular cleaning and feeding routine. Here is a general overview of the breed and how to make raising Booted Bantam chickens is easy and rewarding. Also known as the Dutch Booted Bantam, this breed is the ultimate supermodel of chickens. Their trademark look includes feathered feet and hocks, which are referred to a vulture hocks. Vulture hocks are simply feathers that project behind the chicken’s legs. A close relative, the Belgian Bearded d’Uccle, also sports this notable look. Many owners prefer raising Booted Bantam chicken indoors or in protected coops with soft bedding to protect their delicate feathers. Booted Bantams have a strong, single comb with five points and red-colored wattles and earlobes. They come in over 20 different colors, with the most common being millefleur. Other colors include black, barred, blue, buff, cuckoo, Columbian, gray and white. These bantams are small birds with both males and females weighing up to two pounds. Due to their small nature, they do not require large living spaces, but it is always kind to give them plenty of room to walk around and forage. Hens produce small eggs that are white or slightly off-white in color. Though the eggs are small, hens do yield about 150 to 180 eggs annually. Their temperament is generally friendly and calm, but laying hens can be quite broody. They are not big fans of winter, which is another reason why owners tend to invite them inside. Booted bantam chickens get along well with children and other chicken breeds. Gather two buckets, a couple of towels, a hair dryer, warm water and mild dish soap. Gently wrap your chicken in a towel and place her in a bucket of soapy water. Use your hands to massage her feathers and remove the dirt. Transfer your chicken to a bucket of clean rinse water to remove residual soap. Remove your chicken from the bucket and place her on a clean towel. Use the hair dryer to fluff her feathers back to their gorgeous state. Your chicken might resist the first few times, but she will get used to it and might even enjoy it eventually. Raising Booted Bantam chicken takes work, but the rewards are well worth the energy. Get your chickens into a good cleaning and eating routine to keep them healthy and sanitary. You may want to seek out other chicken owners to talk shop and get advice.